Dynamic microphones typically have a lower output level as compared to condenser microphones. When it is necessary to use a dynamic microphone with a very long cable run it is common to hear an increase in the noise of the signal. You will also experience a significant decrease in the overall output level of the microphone due to the long cable run. Using phantom power from your mixer the new Sanken HAD-48 is designed to increase the level of a dynamic microphone by 20dB or 40dB to achieve better signal to noise ratio even using a long cable. The unit features +20 and +40 switches to select its gain. It is only 115.3mm in length (XLR-M to XLR-F tube) and is driven by normal 48 Volt phantom powering. Current consumption is only 3mA or less. 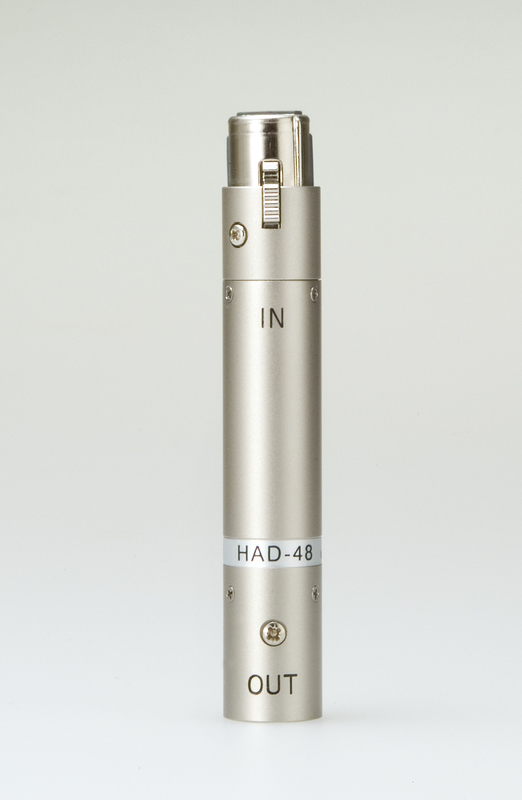 You can maintain a rich and powerful signal from a dynamic microphone even when using long cables by using the HAD-48 for a clean signal to noise ratio.